I got this guitar. 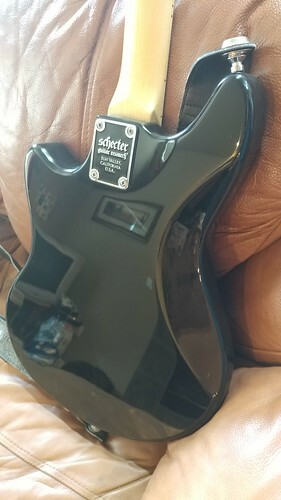 Not a super expensive guitar, but is super solid and sounds very nice. I guess this version is discontinued? 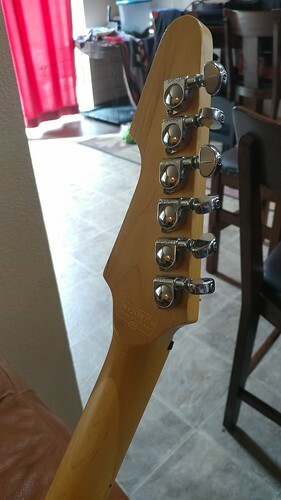 It totally helped fill my Bass VI void that happened when my wife lost her job. I love the color scheme. The maple with black blocks is pretty awesome. Headstock is angled, but also cut and glued with a valute so it should be pretty strong. Grover tuners. 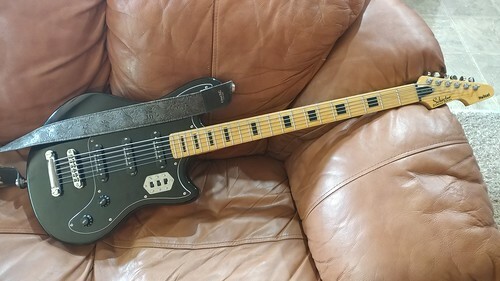 I also really dig the Seymour Duncan Jaguar looking pickups. (No claws on it.) It has nice sound options. At the moment I like middle and bridge on. Adding the neck makes it more bassy. Just the bridge is too trebly for my taste. It can do some cool guitar sounds and some cool bass sounds. 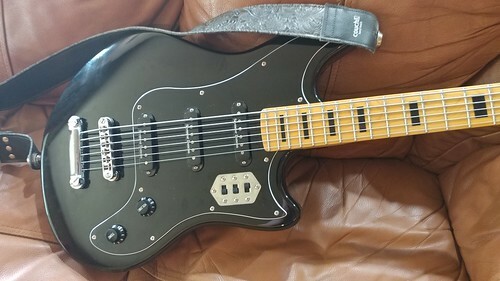 To be honest, this is more comfortable to play in my opinion than the Bass VI I had. Not sure why. 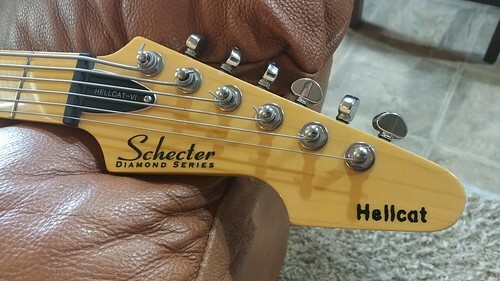 The LaBella steel Hellcat strings I got for it work very nice. They are so big compared to my guitars so it is kind of funny to try to do chords. Chords do sound pretty nice if I kind of skip out on the low E and A strings. Those kind of muddy the chord up. It is different than a guitar to me and different than a bass to me. It has the elements I like from both. I guess that was probably the point of the design? Anyways, here are pics. Nice grab. I've always wanted one of those! And you're right- discontinued indeed. But the Ultra VI has come down in price a bit. I've got one in 3TS which has been my primary bass since 2012. 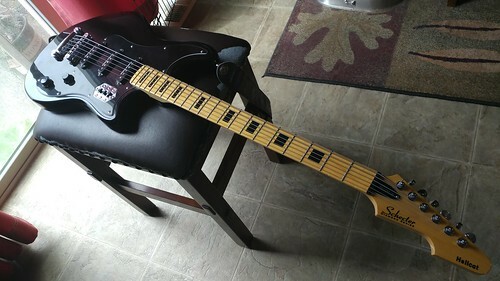 They're pretty solid basses, well constructed, like you said, and the SJAG-1s sound great (much better than the minihumbuckers in the old version or the Ultra VI). I tend to run it with the Bridge and neck on, but use a couple settings for different songs. I tend to play it in a bass role, but it does encourage more melodic bass playing than a standard bass. It's definitely interesting. I will have to give your setting a try. How ya getting on with it? ?